To send a message to persons who threaten others with guns, two thirds of the maximum sentence of three months was handed down to a man who threatened to shoot a witness. 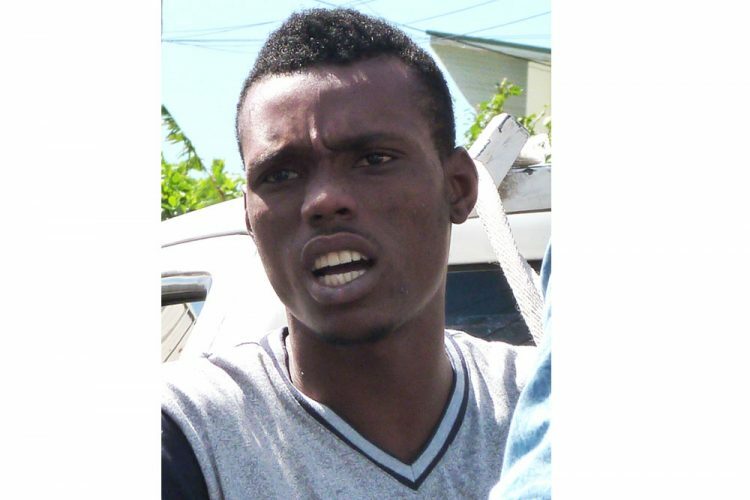 James had already acquired a charge for attempted murder in July of this year, when he was accused of shooting Kaymany Williams, 30 years of Campden Park, in his stomach on June 13. John is a witness in that case. James received the new charge on December 4, and Senior Magistrate Rickie Burnett decided last week Monday that there was sufficient evidence for him to believe that the threat had truly been made. Defense lawyer Grant Connell noted that placing James on a bond would be “sufficient and appropriate”, and asked that if the court was indeed minded to impose a custodial sentence that it could be suspended. Prosecutor Corlene Samuel did not agree, and felt that a prison sentence was in order. “Reason being that this defendant would understand the seriousness of this offence, likewise, the other persons who are doing the same thing would understand the seriousness of what they are doing when it comes to witnesses that are before the court,” she explained. He continued that his client would therefore technically not have had knowledge that John was a witness, and the threats came from the usual feud that was ongoing between them. He also added that no words were used during the incident to the effect of James accusing John of selling him out, or the like. “I don’t think, I humbly submit, that he being a witness should be the common denominator in the equation of this court case,” Connell ended. The magistrate asked Samuel to respond to this submission, and she stated that she believed that Connell was focusing on something that James had said. “His client said that the matter is not going anywhere because every time the matter call, there was nothing happening,” she posited. “That is what he said and not that he doesn’t know that this man is a witness in the matter,” she continued. She clarified that she believed that what James was trying to insinuate was that the case was no longer before the court, which she says is not the case. The magistrate, in sentencing James, noted the prevalence of the offence of threatening language. “We all live in St Vincent, we know of the presence or absence of guns in St Vincent and the Grenadines, and the court must send a message to persons who are likely to threaten others with guns, that that must stop,” he stated. The maximum prison sentence being three months, Burnett sentenced James to two months imprisonment.